Much like summer, small insects, and life in general, McDonald's French fries probably seemed better in the days of yore. It could be this has been a silent conviction of yours, or maybe a sore point and the source of a lot of bitterness over the years. But either way, it turns out this isn't just your nostalgia: The fries have changed -- and arguably for the worse. As someone who eats fast food, you're probably open to the idea that things made with to veggies are less appealing than things that are made without veggies, so this drop in flavor won't come as a shock to you. Gladwell went on to explain that this change occurred around the height of the saturated-fat scare. 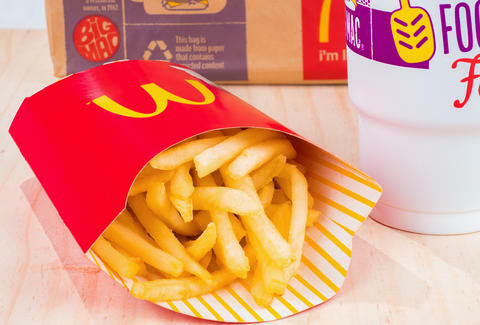 McDonald's had to make a change to convince the public that it was becoming healthier, and its fries took the fall. But in the kind of twist that makes the Malcolm Gladwell train roll, the truth is that McDonald's move was misguided. "It turns out to be false that vegetable oil is healthier for you than beef tallow," he Gladwelled. "So not only did they destroy the French fry, they gave us something that was worse for us from a health perspective. So everything about it was a mistake." And we may all be suffering for that mistake by the fistful every day. McDonald’s didn’t immediately respond to a request for more information about changes to its fries recipe over the years. James Chrisman is a News Writer at Thrillist who was far worse as a kid. Send news tips to news@thrillist.com and follow him on Twitter @james_chrisman2.